First step to accurize the 300 win mag action. This is a process where all internal machined surfaces are realigned to the true design specifications (and counteract variances that occur during mass production of factory actions). In short, it means better and more consistent performance. The action upgrade was topped off with an ergonomic oversize bolt knob install and bolt fluting. 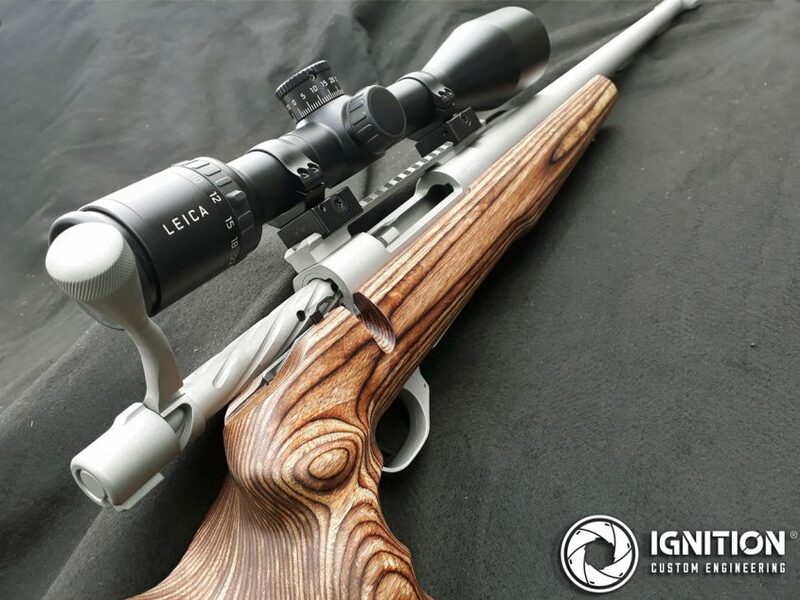 Not only does bolt fluting add to the aesthetic appeal of the rifle, but clears away dirt and debris from the action during use in dirty or dusty hunting conditions. The rifle was rebarrelled using a Swan Barrel in heavy varmint profile (1:10 twist) with a finished length of 27″ inches. We threaded the barrel to fit and time an oversized muzzle brake (supplied to us by the client). The brake design was selected by the client to improve visibility by redirecting venting gas, so it doesn’t kick up around the muzzle during shots in dusty conditions. While it uses the factory Howa floorplate, the trigger was upgraded with a Howa 1500 Timney Trigger with safety and adjustable pull weight and follow through. 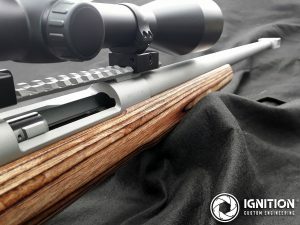 Protection against rust and scratches during use in the field was a major factor – being a hunting rifle – so we applied a protective coating of Cerakote to the barrelled action, bolt, brake, floorplate and picatinny rail. The Howa was fit into a GRS Sporter wood laminate stock (Sporter model) – minor inletting was required to allow for the new heavy varmint barrel – and glass bedded into the stock to ensure precision and consistent performance at long range. 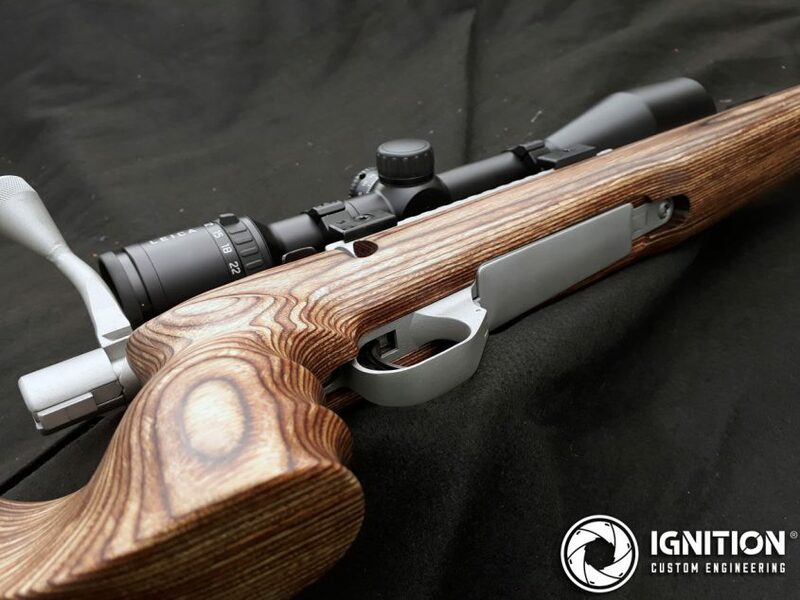 Titanium Cerakote prooved a winning colour combination with the wood grain of the GRS stock. The client’s Leica 6.5-25×56 scope was secured to the picatinny rail with EAW detachable scope mounts to keep the scope zeroed in when removing from the rifle. 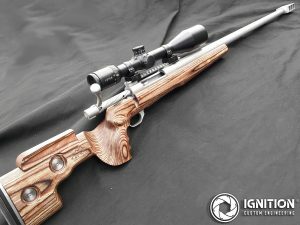 Ignition Custom Engineering is a licensed manufacturing gunsmithing workshop in Adelaide, South Australia. 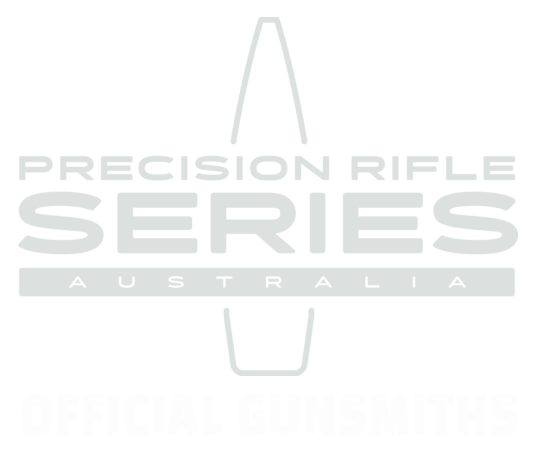 Contact us to explore our gunsmiths can customise your shooting experience at sales@iceng.com.au.